I wouldn’t quite presume to tell you I yet have the whole quilt in front of me, but I do think there are a number of interconnected threads this offseason that we need to do our best to keep following, from league revenues and player contracts to Cubs spending to Cubs TV deal negotiations to MLB streaming rights. As more information becomes available, I can more confidently sew things together, and – for one thing – since the Cubs’ current TV broadcast deals expire after the 2019 season, more information is necessarily coming soon. On that front, as best we know, the Cubs continue to work on their plans to launch a regional sports network of their own after next season – presumably with a content or distribution partner – which would mean parting ways with their primary broadcast partner, NBC Sports Chicago. And, because NBCSC is jointly owned by the Ricketts Family, NBC, and the owners of the Bulls, White Sox, and Blackhawks, if the Cubs leave, it’s entirely possible that the network will have to be reformed. To that end, Chicago Business Journal reports that talks between the current network and the Bulls, White Sox, and Blackhawks are proceeding well, which presumably means that if the Cubs do bolt, the next incarnation of NBCSC will move on with those three teams. 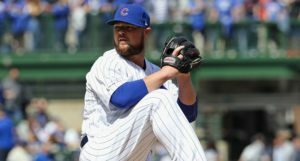 The report leaves open the possibility that the Cubs could still re-up with NBCSC on a traditional rights deal, which would then allow the network to continue as it is, but “that scenario does not look likely, according to sources.” The sides still communicate, but they have not formally negotiated in months, according to CBJ, and there are no plans to do so. 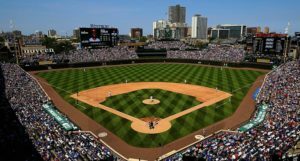 Should the Cubs go off on their own, which they’ve openly pined to do for a long time, they will create the new network, and then sell their rights to that network. There will be headlines about the multi-billion-dollar TV deal the Cubs just struck. People will get giddy dreaming about the prospect of a $300 million payroll. But, actually, that’s just when the hard and risk work begins. Then, you’ve got the hurdle of ensuring that MLB will allow the new network to offer live streaming to its authenticated subscribers (since MLB, not the individual team, controls those rights). MLB did have deals in place with other networks to allow for local streaming like that, but those deals have expired and are presently being negotiated. There is so much more risk in going your own way in this field, especially in an era of constant cord-cutting, than just selling your rights to an existing network. But the upside is enormous: not only can you potentially get a larger deal for your rights, but with an equity stake in the network, itself, there are revenues generated that are not subject to MLB revenue sharing rules. Moreover, if the network is a success, it becomes a valuable property in its own right. Consider the Yankees’ YES Network, the crown jewel of regional sports networks, is estimated to be worth $4 billion. 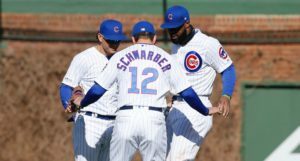 Even if a hypothetical Cubs network were worth considerably less than that, it still might approach the value of the actual team.